Here’s everything you need to know about 3rd ODI between India women and New Zealand women from Seddon Park, Hamilton. 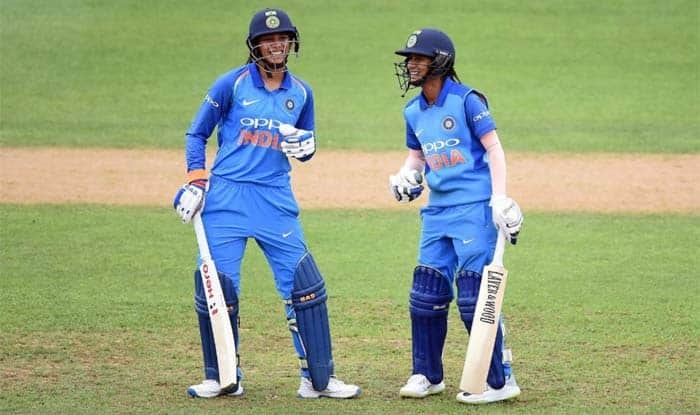 New Zealand Women vs India Women 3rd ODI Free Online Live Cricket Streaming And Score: On the back of two clinical performances, the Indian women’s cricket team has sealed the three-match ODI series against New Zealand with a game in hand. Smriti Mandhana and the spinners have been at the forefront of India’s success. Mandhana continued her red-hot form in limited-overs cricket as she single-handedly powered India Women’s Cricket team to a scintillating eight-wicket victory against New Zealand in the second ODI in Mount Maunganui. The left-hander played an unbeaten match-winning knock of 90* to extend her impressive run for women in blue. She was well supported by captain Mithali Raj, who scored 63* and knitted an unbeaten 136-run stand for the third wicket to give India a comfortable win. Ekta Bisht, Deepti Sharma and Poonam Yadav, between them have accounted for 14 of the 20 New Zealand wickets to fall, restricting the hosts to below 200 in both games. With the experience of Jhulan Goswami and Mithali Raj contributing to India’s victories, coach WV Raman couldn’t have asked for a better start to his maiden stint with the women’s team. But what will be on the top of his mind will be to avoid complacency. When is the 3rd ODI between India Women and New Zealand Women? The 3rd ODI between India Women and New Zealand Women will be played on February 1, 2019. What time will the 3r ODI between India women and New Zealand women start? The 3rd ODI between India women and New Zealand women will start at 6:30 AM IST on January 29. The toss will take place at 6:00 AM IST. Where will the 3rd ODI between India women and New Zealand women take place? The 3rd ODI between India women and New Zealand women will take place at Seddon Park, Hamilton. Which channel will telecast 3rd ODI between India women and New Zealand women? The live TV broadcast of 3rd ODI between India women and New Zealand women will be available on Star Sports 1/HD. How to watch the free online live streaming of 3rd ODI between India women and New Zealand women? The free online live streaming of 3rd ODI between India women and New Zealand women on Hotstar. What are the probable XIs of 3rd ODI between India women and New Zealand women?